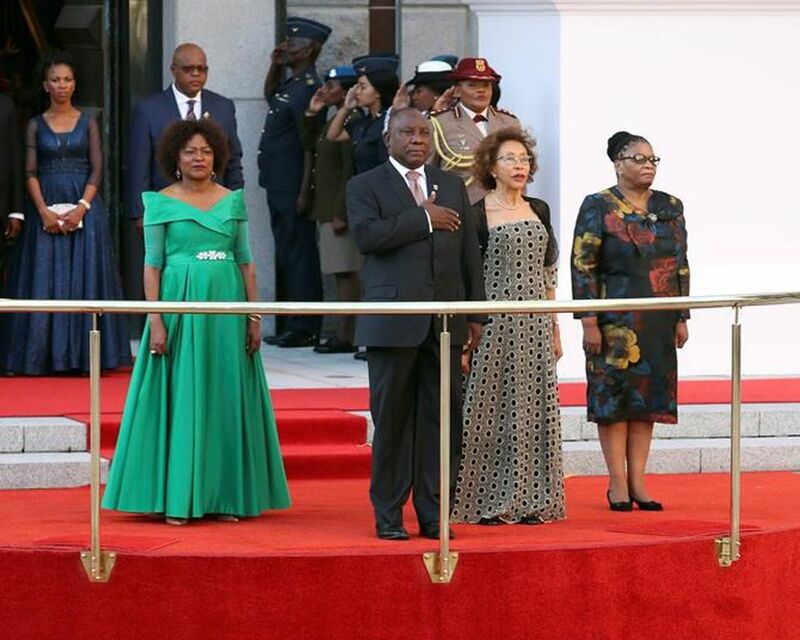 As South Africa celebrates its 25TH anniversary of freedom, President Cyril Ramaphosa used last week’s State of the Nations Address (SONA) to prompt citizens to continue building a society in which all South Africans live in harmony and enjoy their inalienable rights to life, dignity and liberty. Accelerate inclusive economic growth and create jobs; Improve the education system and develop the skills that we need now and into the future; Improve the conditions of life for all South Africans, especially the poor; Step up the fight against corruption and state capture; and strengthen the capacity of the state to address the needs of the people. Government announced an economic stimulus package last year, which was set to put the economy back on a recovery path. This includes initiatives to create jobs, more support for township enterprises and emerging farmers. Remember the inaugural South Africa Investment Conference that was held last year? It’s back again this year. South Africa’s inflow of foreign direct investment increased from R17bn in 2017 to R70bn in 2018. Provinces will also be tasked to compile lists of potential investment deals in the provinces. I think investments in high impact start-ups should feature prominently in this regard. The World Bank’s annual Doing Business Report currently ranks South Africa 82 out of 190 countries. The President wants to get South Africa to the top 50 by 2022. I believe this will help attract more investments, yet government must remove as much stifling red tape as possible for small and medium sized enterprises to start and scale. The Competition Amendment bill will soon be signed into law. This is part of government’s efforts to increase investment, foster greater inclusion, create more opportunities and to curb the challenges the economy faces where the structure of such was designed to keep assets in only a few hands. I believe this will potentially open doors for new, smaller businesses to compete and to have a reasonable share of the market. The agreement on the establishment of the African Continental Free Trade Area offers great opportunities to place South Africa on a path of investment-led trade and to work with other African countries to develop their own industrial capacity. I believe this will not only help with Africa’s integration plan, but get Africans to see and grasp opportunities that can be found if we work together. The Buy South Africa programme will be supported to increase the demand on local goods and ensure that government and the private sector procures such. I know Proudly South Africa has been championing this initiative and we should find more viable reasons to support local goods. Also, why not lower the VAT rate in shops to below the foreign rate on all locally produced goods? Government will expand small business incubation programmes and township digital hubs will be established in four provinces and then expand to the rest. I believe this is a step in the right direction. Perhaps the Global Entrepreneurship Network (GEN) can help government establish GEN hubs across the country. The hubs should be equipped to ensure that they also provide quality technical support services to the community they serve. Support for small emerging farmers will be increased. This will help escalate exports and ensure that underutilized and unproductive land is put back into development. There are so many opportunities for agri-entrepreneurs and even the African Development Bank (AFDB) has a significant fund in the agri-sector. The eVisa regime will be implemented this year to increase destination marketing and tourism. I still highly recommend that South Africa should introduce start-up visas for high impact start-ups across Africa. This will help attract and nurture African talent in South Africa, encourage partnerships between us and other African countries and ensure job creation locally. The ocean economy is still a big potential. Investments have been made mainly in infrastructure development, marine manufacturing, aquaculture and the oil and gas sector could be making a massive comeback with the recent breaking news of the discovery of an abundance of new natural gas pockets off the Mossel Bay coast, potentially worth billions. Government has committed to contribute R100bn into the infrastructure fund over the next ten years, which will be used to leverage financing from the private sector and development financial institutions. The Early Childhood education programme will be migrated from the social development department to the basic education department. This will help ensure a firm foundation and making this integral to the education system. I always say we have to capture the kids when they are young. This also helps to develop and increase their entrepreneurial potential and helps them to compete with their peers globally. In line with the government’s Framework for Skills for a Changing World, it will be expanding the training of both educators and learners to respond to emerging technologies/4IR, including the internet of things, robotics and artificial intelligence. Several new technology subjects and specialisations will be introduced, such as technical mathematics and technical sciences, maritime sciences, aviation studies, mining sciences and aquaponics. To expand participation in the technical streams, several ordinary public schools will be transformed into technical high schools. This was undoubtedly my favourite take-out from SONA and one which I am ecstatic about. To ensure that government effectively, and with greater urgency, harnesses technological change in pursuit of inclusive growth and social development, the President has appointed a Presidential Commission on the 4IR. Comprised of eminent members hand-picked from different sectors of society, the Commission will serve as a national overarching advisory mechanism on digital transformation. It will identify and recommend policies, strategies and plans that will position South Africa as a global competitive player within the digital revolution space. The President concluded his address with some inspiring quotes from Theodore Roosevelt, who served as America’s 26th President. All-in-all, an inspiring and motivational address I thought. But now that the talking’s done, it’s time to walk the talk and deliver on promises to ensure that the new dawn doesn’t simply fade away into a dark oblivion, but remains a shining and guiding light for all South Africans. Kizito Okechukwu is the Co-Chair of the Global Entrepreneurship Network (GEN) Africa – 22 on Sloane is Africa’s largest start-up campus.